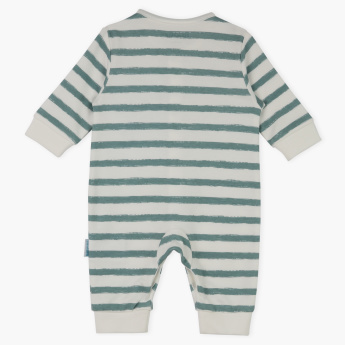 Grab this striking striped sleepsuit to upgrade your little one's collection. This is an open feet sleepsuit, which has a front opening for easy dressing. The soft fabric is ideal for your little one's delicate skin and ensures utmost comfort.